Jharkhand Combined Entrance Competitive Examination (JCECE 2018) is a state level entrance exam which is organized by the Jharkhand Combined Entrance Competitive Examination Board. On the basis of this examination, candidates can get admission in first year of B.Sc (Hons.) 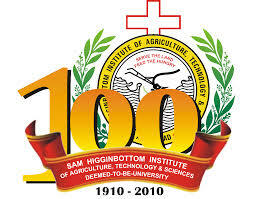 Agriculture, B.Sc (Hons.) Forestry, B.V.Sc. & A.H., B.F.Sc (Fisheries Science), Homeopathy Degree courses. Through this article, we are providing the details about JCECE 2018 including application form, exam dates, eligibility criteria, exam pattern, syllabus, etc. Eligibility Criteria for JCECE 2018: The candidate should be an Indian citizenship and a permanent resident from Jharkhand as per criteria of Raj Bhasa, Government of Jharkhand. There is no age limit for candidates who want to pursue B.tech courses. The candidates must have completed 10+2 (Intermediate) or equivalent exam from a recognized board/ institute. The candidates should have Physics and Mathematics as essential subjects with one of the optional subjects in Biology / Chemistry / Biotechnology / Technical Vocational subject. The candidates should have secured minimum 45% marks aggregate. For reserved category, SC/ST have to secure at least 40% marks aggregate for courses. Candidates who are appearing in final year of the qualifying exam will also be eligible subject to conditions that they should qualify the exam. Application Procedure for JCECE 2018: The candidates must follow the below-mentioned steps while filling the application form: Go to the Official Website of the JCECE 2018 exam conducting authority. Navigate to the JCECE 2018 application form. Enter important details like Examination Details, Personal Details, Academic Details, Contact Details and Guardian Details correctly. You will get registration number and login details on your mobile via SMS Click on the login button and enter the credentials you have received. Upload the scanned photograph and signature. Make the payment for the JCECE 2018 Exam. Submit the JCECE 2018 application by clicking on the submit button. Steps to check JCECE 2018 results: Browse the official website to check the JCECE 2018 result. Click on the JCECE 2018 result link and enter the registration number as well as password. The JCECE 2018 result will be displayed on the screen, and the applicants can download it. You should keep on checking the official website for JCECE 2018 result and download the JCECE 2018 result when it is announced. Ensure you have the correct registration number and other credentials to view the JCECE 2018 result. JCECE Counselling: JCECE admission process will be started after the result announced to the candidate. On the basis of 10+2 marks and the marks secured by the candidate in the JCECE entrance examination, admission will be given to the candidate. Merit list will be prepared according to candidates score marks in the 10+2 examination and the score of JCECE which is valid. In those bases, the deserving candidate will be given admission. Candidates who are interested in attaining counselling can download the Merit List from the official portal of conducting authority. Candidates have to submit all required document for registration and verification. If the candidate submits the incorrect document and found in scrutiny candidates admission will be cancelled. Documents Required: High school Mark sheet High school passing certificate Character Certificate Domicile Certificate Category Certificate Residence certificate The second round of counselling for JCECE will be conducted in the month of July that is mid-July. There are reservation criteria in JCECE and it will follow the same strategy. The strategy states that 95% of the seats are reserved for the candidates who hold the residency of the Madhya Pradesh state and 5% seats are reserved for NRI candidates. Preparation Tips: Make accurate & precise strategy to crack the exam. Prepare a timetable according to your syllabus. Provide equal time for all the subjects. Collect all the study material of the syllabus and cover every topic. Go for the best books for best preparation. Previous year question papers are very much beneficial to get a high score. Know complete exam pattern. We would be glad to get your feedback. 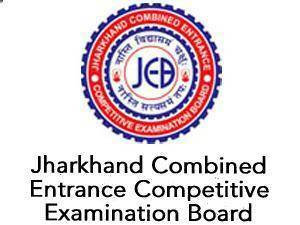 Take a moment to comment and tell us what you think about Jharkhand Combined Entrance Competitive Examination ( JCECE ) , Competitive.